Household moisture primarily resides in the building materials and furnishings in a house. Think your big, damp mattress, for instance. 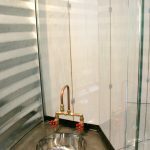 Damp materials in your house keep your relative humidity high. 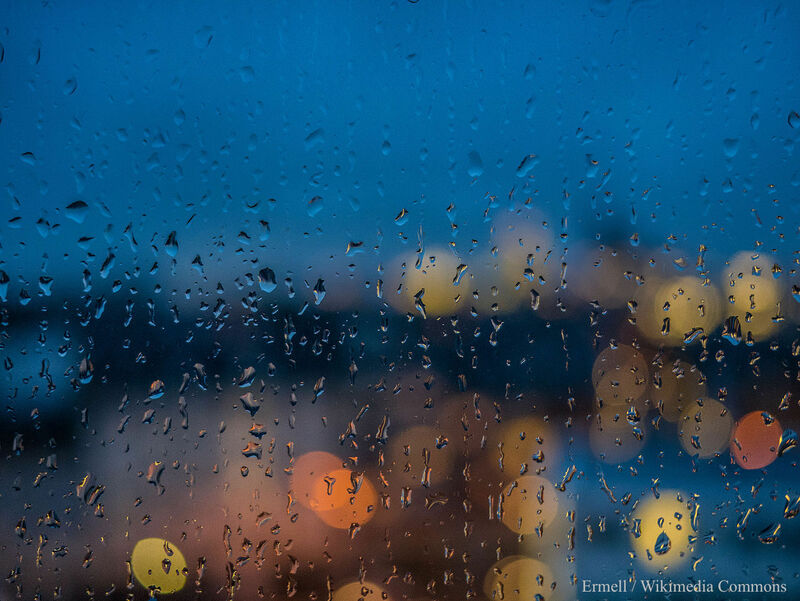 And releasing humidity into the air means that moisture will eventually find its way inside your couch, or in other furnishings or building materials. Here is a simple chart of the equilibrium relationship between moisture in the air (RH), and moisture in materials (MC), expressed as a percentage of the mass of the material. 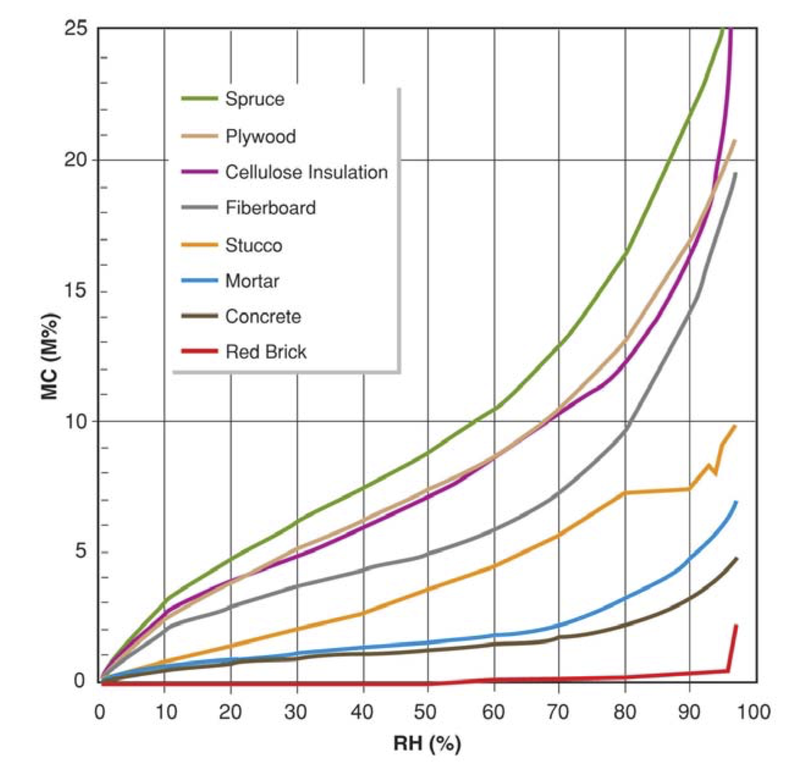 This chart can be read as follows: If you house averages 70% humidity, you can follow the 70% RH line and see that spruce wood (similar to pine), will have about 13% moisture content. Given that your house will have thousands of kg of pine in it, this chart means there will be hundreds of kg of water in that material. And the same with wallboard, insulation, soft furnishings, and your carpet. 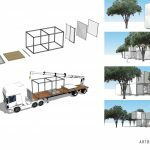 This entry was posted in MicroArchitecture on September 25, 2017 by timb. How many houses are being built in New Zealand? And where? This question and more can be answered using SHAC’s Building Activity app. Imagine, if you take a cold and damp house, and then wrap it in extra insulation and draughtproofing. What do you get? A warm and damp house. The extra insulation and draughtproofing reduce the air circulating in a house, which is a reduction of the ability for a house to dry itself. How do we get a warm and dry house? 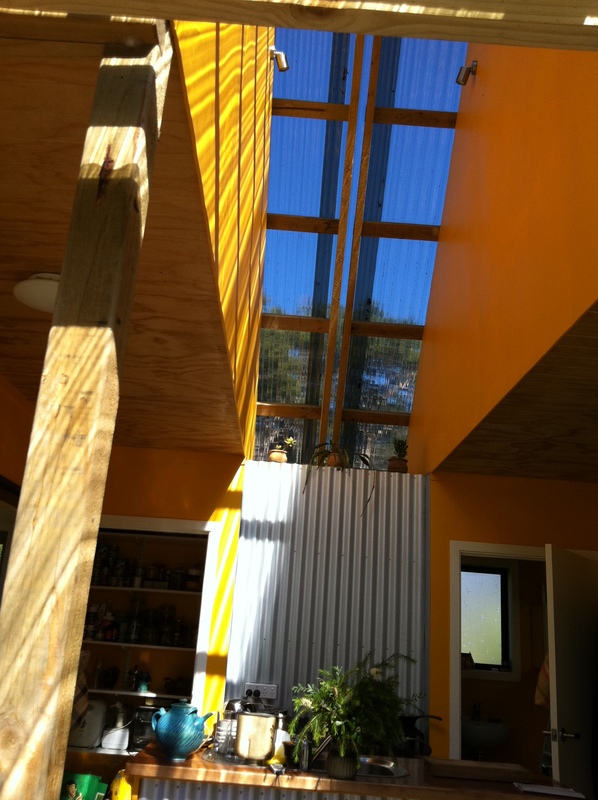 Capture the sun, add heating to the house, and add ventilation. This can be as simple as ensuring the windows of a house are open during the day, especially when it is sunny out. 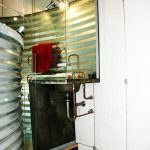 Or you can add some sort of ventilation system that takes in outside air into the house. 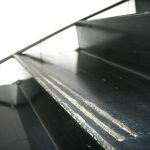 Your heat pump does not do this – all a heat pump does is recirculate the damp air that is already inside your house. On the whole, outside air is dryer than inside air, especially once it is heated to inside temperatures. This is why bringing outside air into the house helps to dry the house. There is some cost to heating outside air, but the benefit is a dryer, healthier house. Also, if a ventilation system is used, this cost can be reduced if a heat recovery ventilation system is used. 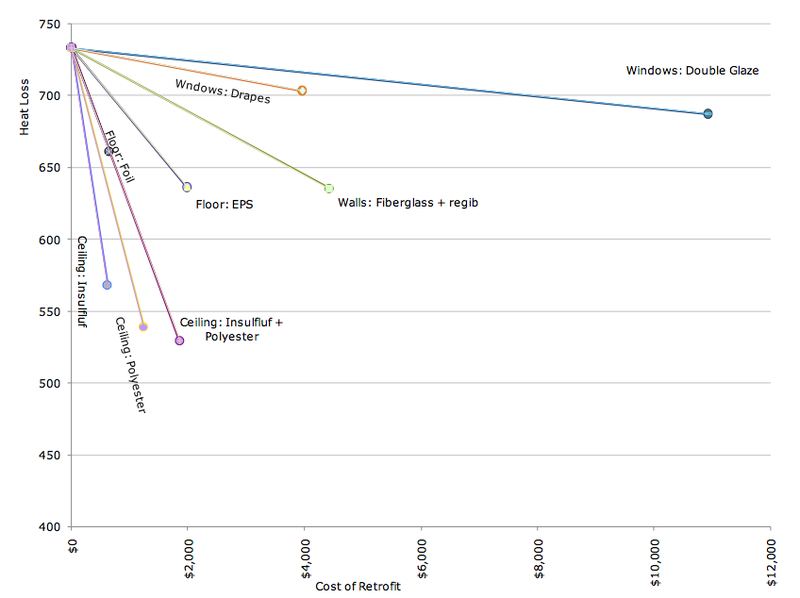 Of course using windows for ventilation is the cheapest option of all! 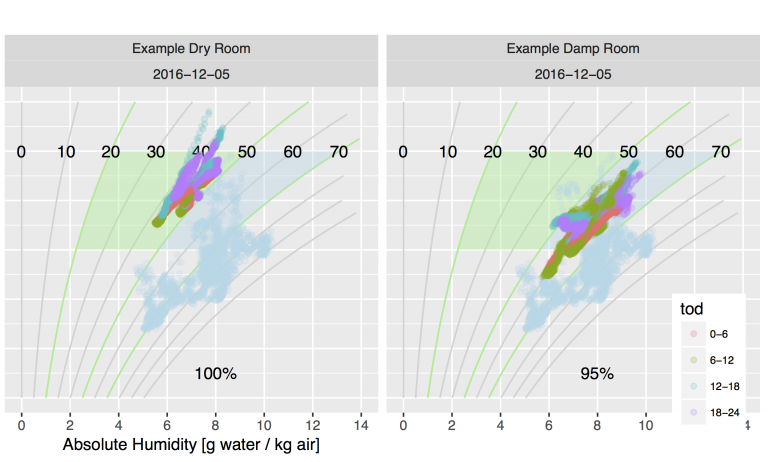 Psychrometric chart showing WHO recommended temperature and humidity (green+blue region), and room measurements for one week. Each point is average temperature and humidity for one hour. Different times of day are coloured differently. Most of the moisture (>85%) in a house is in the furnishings and building materials in the house. Simply removing moist air once will not dry a house, as dampness will just evaporate from furnishings and building materials, and the air will quickly become damp again, within minutes. 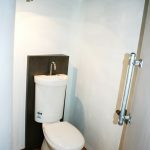 A damp house needs repeated flushing of the air within the house so that the furnishings and building materials within the house slowly begin to dry. Support the local economy. That means building with local labor, with locally available and/or produced materials, as much as possible. Be commissioned following construction, and be monitored on an ongoing basis. If you don’t know, and to me it’s a strange use of the word, commissioning means testing how the house performs after it’s built. Have operating costs that are minimal or reasonable. Have R1.8-R3.6-R6-R10 insulation. Hopefully these numbers are obvious: they represent a “pretty good” level of insulation in a cold climate for sub-slab, foundation walls, framed walls, and roof or ceiling, respectively. Measure 90-140-160-180 m2. 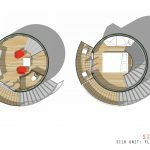 These number are probably not as obvious; they represent an allotment of square feet of living space for 1, 2, 3, and 4+ inhabitants, respectively. It could be less — the national average is much more — but as a group we thought this was… pretty good. 4 inches of rigid foam under the basement slab. A service core for plumbing and wiring (à la Tedd Benson’s Bensonwood concept, also a feature of A Pattern Language (Alexandar, et. al. ): keep services out of exterior walls, grouped for easy upgrades in the future. Energy modeling (performed during the design process). An air leakage rate of no more than 2 ACH50. Not exactly Passivhaus, but… pretty good. Good design. I was surprised it took so long for someone to mention this. A good house has to look good and feel good, not just function well. An owners’ manual. I know that Michael Chandler has written about this. You get an owners’ manual with your car, DVD player, and electric toothbrush. Shouldn’t the biggest, most expensive, most complicated thing you own have an owners’ manual too? Universal Design. Our population is getting older, and people are realizing that having a disability does not mean one’s lifestyle needs to be limited. For the most part, Universal Design is smart design. Comfort. Recently I was at Chris Corson’s Passivhaus project on a cold day. There were no drafts, no cold spots in front of windows, and only a single Mr. Slim heat pump for the whole house. It was comfortable. I’ve been in $20 million dollar houses that were not comfortable (and probably insulated with fiberglass batts). Passivhaus under-slab insulation. 10 to 14 inches of foam? As great as many of us think the Passivhaus standard is, it’s still hard to imagine using that much foam under the slab. Too much embodied energy. Spray foam is a great insulator, but it comes at a cost. Vinyl siding is cheap and (somewhat) effective, but it comes at a cost. Bamboo flooring comes at a (transportation) cost, and having installed quite a bit of it, I don’t think it’s all that great…. Diminished returns. The idea of the Pretty Good House is to find the sweet spot between expenditures and gains. When is enough insulation enough? Complexity of structure. With modern living space “needs” and small lots come oversize houses. One way to reduce the apparent scale of the house is to chop up the roof with dormers, pepper the walls with bumpouts, and otherwise create places for ice dams, air leaks and extra construction labor and materials (see Martin’s blog,“Martin’s Ten Rules of Roof Design”). I’m guilty of frequently designing in dormers to the renovations and additions I work on, as a way to buy extra space while respecting the original architecture…but at least I’m aware that it’s a problem. This entry was posted in Featured on September 14, 2016 by timb. … Climate activism has primarily manifested as “Blockadia.” Why? 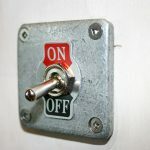 Blocking and shutting down bad projects is easier to organize around than efficiency or carbon pricing. And maybe that’s fine. Maybe it isn’t the role of activists to imagine and bring about a new world. Maybe that’s for policymakers, designers, engineers, artists, and entrepreneurs. 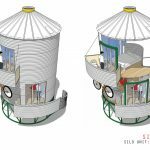 This entry was posted in MicroArchitecture on November 9, 2015 by timb. “What are good retrofit options for my home”? Good strategies mean picking the most reduction in heat loss, for the least cost. This chart can help. This entry was posted in MicroArchitecture on September 26, 2015 by timb. 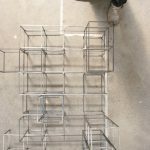 “The project was for 9 single person homes on a small plot adjacent to a disused canal in Peckham – to be self built by local young people in housing need. 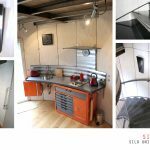 The build was linked to a local training centre where the self builders were trained up to NVQ level 2 Carpentry and Joinery. Consortium, a local umbrella group of housing charities, employed a worker to research the project and get it off the ground. This worker stayed on for the build process and acted as a support worker to the self builders. The site was managed by a full time site/project manager who had built on a previous self build scheme and who had youth work experience. This entry was posted in MicroArchitecture on August 13, 2015 by timb. The cities of the future, which is what many urbanism conferences talk about, those cities that grow fastest, are not constructed out of glass and steel, but out of straw, recycled plastic, scrap wood, and bricks made of construction waste. Housing there isn’t built by the building companies, developers and policy makers who attend the conferences, but by people building for themselves. This entry was posted in MicroArchitecture on August 8, 2015 by timb. This entry was posted in Projects on August 7, 2015 by timb. Micro-hydro based renewable energy system with LiFePo battery backup. Constant power from micro-hydro system means only a small battery is needed. This entry was posted in Projects on August 6, 2015 by timb. This entry was posted in MicroArchitecture on August 2, 2015 by timb. Submit your design and be in to win prizes valued at nearly $1000 each! Submit your design for a Methven, New Zealand, community bus shelter for approx 10-20 snow skiers and boarders waiting for the mountain pick up. 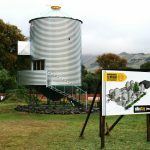 The best designs using natural materials will win free entry to the March 2016 International Straw Building Conference to be held 3-9 March 2016, in Methven, New Zealand. See www.strawbuildconference.co.nz for conference details. 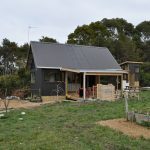 Natural Building means using minimally processed and locally available materials for building, examples include, untreated timber, rammed earth, adobe, earthen plasters, straw, hempcrete, and others. 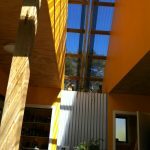 Natural Building also means using solar energy efficiently and effectively. On one or two A3 sheets. Please email your submission in pdf format (max 15MB) to tim@shac.org.nz. This site may have some high schoolers using the bus stop during term time. This site may need to incorporate the Methven Resort sign as part of the bus stop. Provide a playful competition to help designers, builders and the public better understand the art and science of building. E-mail your submission to tim@shac.org.nz. Entries are individual or as a team of 2 people. The PDF A3 presentation sheets are what explain the project. This may include sketches, plans, elevations, sections, and/or photos of the materials or techniques to be used. Entries not to include your names or logos, only your assigned submission number. SHAC reserves the right to not accept any entries. Best entries will be honoured with awards and prizes. All entries may be published by SHAC on our web site or other medium. Strong enough to withstand Nor Wester winds and the rain that follows. Not to block views to the mountains. Incorporate elements from their alpine and agricultural encounter. This entry was posted in MicroArchitecture on July 24, 2015 by timb. We must swiftly transition to systems of renewable energy, recognising that the feasibility and affordability of this transition will demand that we consume significantly less energy than we have become accustomed to in the developed nations. Less energy means less producing and consuming. This entry was posted in MicroArchitecture on June 30, 2015 by timb. Her previous construction experience was a bookcase, but that has not stopped Lily Duval from building her own miniature house. The 27-year-old is two months into the build, and is on track to have most of the construction finished in another couple of months. She is building her house directly on a trailer on communal land in central Christchurch. 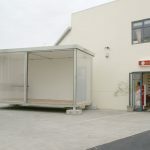 At 5.5 metres long, 2.5m wide and 4.2m high, Duval’s house fits under the New Zealand Transport Authority’s definition of a light simple trailer. It requires no building consent. Her house will cost $30,000 all up, which includes $8000 for the heavy-duty trailer. 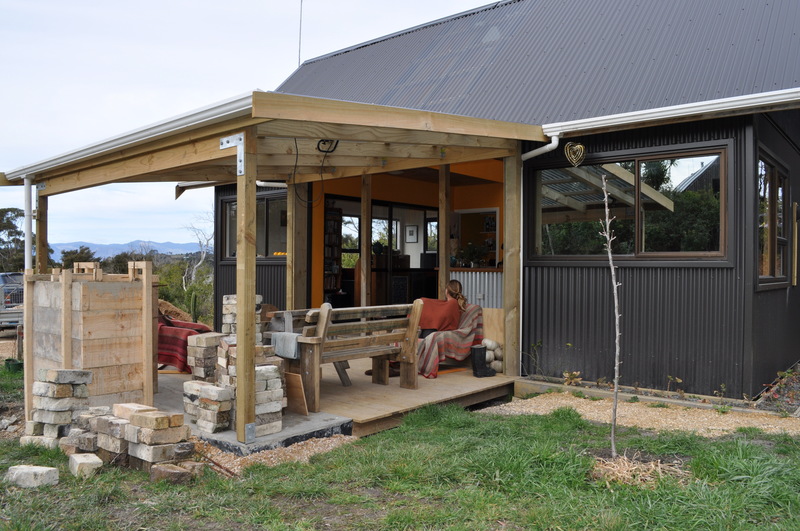 via Tiny home a true mansion – news – the-press | Stuff.co.nz. This entry was posted in Canterbury, MicroArchitecture on February 26, 2015 by timb. 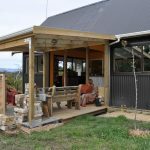 Christchurch man Bevan Thomas built his own “tiny house” from scratch last year and had seen “hundreds” through it over the past few months. 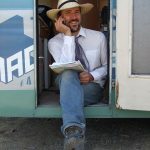 He believed the tiny house movement was becoming increasingly popular in New Zealand as people looked for ways to live with less impact on the planet, or to avoid being “tied to a half a million dollar mortgage”. 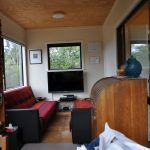 Thomas built his moveable house after returning to Christchurch to look after family and finding himself at a loose end. 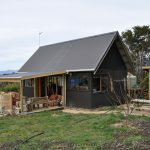 via Interest growing for tiny homes | Stuff.co.nz. 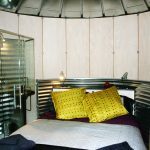 Cook has now finished building his 3.4-tonne home, complete with a mezzanine bedroom, living area, kitchen and bathroom. The house measures 8 metres by 2.45m and is 4.1m high. 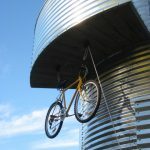 It was built on top of a custom-built trailer so it could be moved and did not require a building consent. Cook did not have experience in building but it took him only 12 weeks to get it to a ”liveable” standard. The building cost $22,000 – an amount he would save within two-and-a-half years by not having to pay rent – and most of the materials were salvaged from demolition sites, which helped keep costs down. 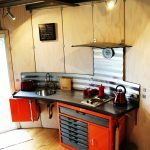 via Tiny home at a tiny price | Stuff.co.nz. 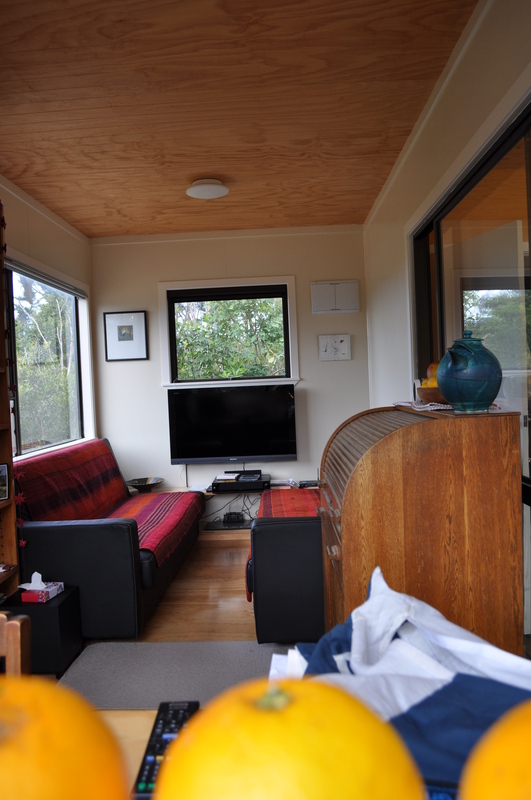 Christchurch student fed up with high rental costs is building his own “cottage on wheels”. 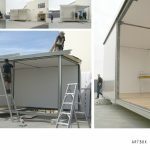 Stefan Cook is constructing the 2.5 metre by 8m transportable house in a bid to beat the rising cost of student housing and survive the Government’s withdrawal of student allowances for those undertaking post-graduate study. The 34-year-old geology student at the University of Canterbury said he had been paying up to $160 for a room in a Christchurch flat during the first two years of his bachelor’s degree and expected his $15,000 project would pay for itself within two years. 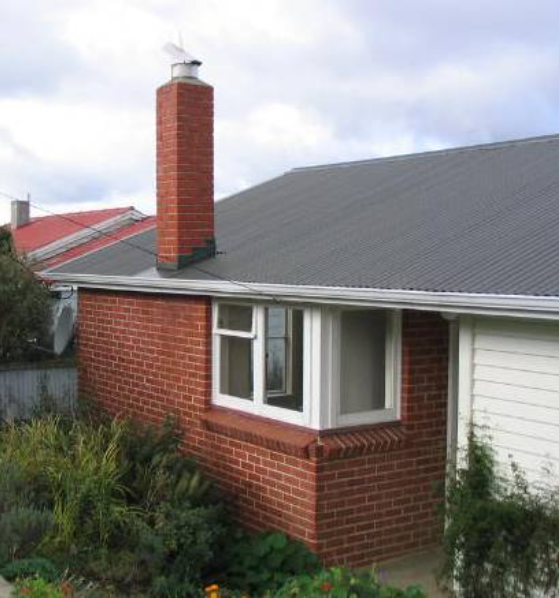 via Student thinks small to beat rental trap | Stuff.co.nz. Otago Polytechnic this Sunday 11th Jan at noon. 0-100km in 4 seconds. See https://www.facebook.com/LeadingTheCharge for other locations around New Zealand. A new kind of kiwi road trip is amp’ing up, as four kiwi blokes: Steve, Jay, Carl and Nick travel from Cape Reinga to the Bluff in a convoy of sustainable prowess. The group #leadingthecharge are highlighting the practical and sustainable benefits of using electric cars. To drive home their message they’re cruising the length of the country in New Zealand’s first Tesla Model S car, and its only Telsa Roadster. Va va vroom! Charging – We aim to encourage private and public entities to roll out charging infrastructure all through New Zealand. Driving – We want people to get into Electric Vehicles. Test-drives, car sharing, renting, owning. We don’t care how you do it; we just want people in these cars. All members of the public are warmly invited to attend this unprecedented event. Bring a friend, or the whole family – it isn’t often an event comes along that appeals to car enthusiasts and greenies alike. This entry was posted in MicroArchitecture on January 9, 2015 by timb. It would not be too factitious to suggest that many traffic engineering standards seem to presume that land is free. It’s as is if there are dutch pixies at the bottom of the garden who are manufacturing land from the sea. One example of such a standard is the concept of the “design vehicle”, which I will focus on for the remainder of this post. Of course there are many other examples of traffic engineering standards, such as minimum parking requirements, which have been discussed before on this blog and that also have hugely negative consequences. The reason I want to focus on the “design vehicle” concept is because it does not receive much attention. And also because it has a fundamental impact on so many things. For those who are not familiar with the “design vehicle” concept let me briefly explain. The “design vehicle” is a phrase that typically describes the largest, heaviest (per axle), and/or least maneuverable vehicle that is expected to use a particular part of the road network. Naturally, the physical footprint required to accommodate this design vehicle subsequently defines most aspects of the physical road geometry, such as turning radii and pavement design. For this reason, the shape of our road networks is very much defined by the design vehicle that is chosen. You can read up on some of the design vehicle standards recommended by the NZTA here. 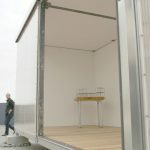 The design vehicle for the standard street is typically some form of medium rigid truck, such as what is commonly used to move furniture. I’ve illustrated the physical dimensions of this vehicle below. Read more at: How traffic engineering standards can break our cities « transportblog.co.nz. This entry was posted in MicroArchitecture on December 16, 2014 by timb. 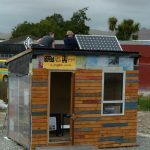 The design brief was simple – create a breakout space that didn’t require consent and incorporated sustainability, and now four Otago Polytechnic Design students have won the national Sustainable Habitat Construction (SHAC) Pop-up Challenge for their design of an innovative and efficient ten square metre building. 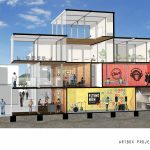 Studio56 was conceived by third-year Design students, Dean Griffiths, Alice Perry, Nina Daniels and Charlotte McKirdy, and was developed to provide a unique learning and collaboration environment for both students and staff, within Otago Polytechnic’s Living Campus – a vibrant community garden and a sustainable model of urban agriculture. 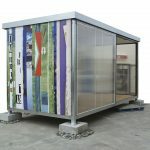 via Students win national design award for 10sqm building | Scoop News. 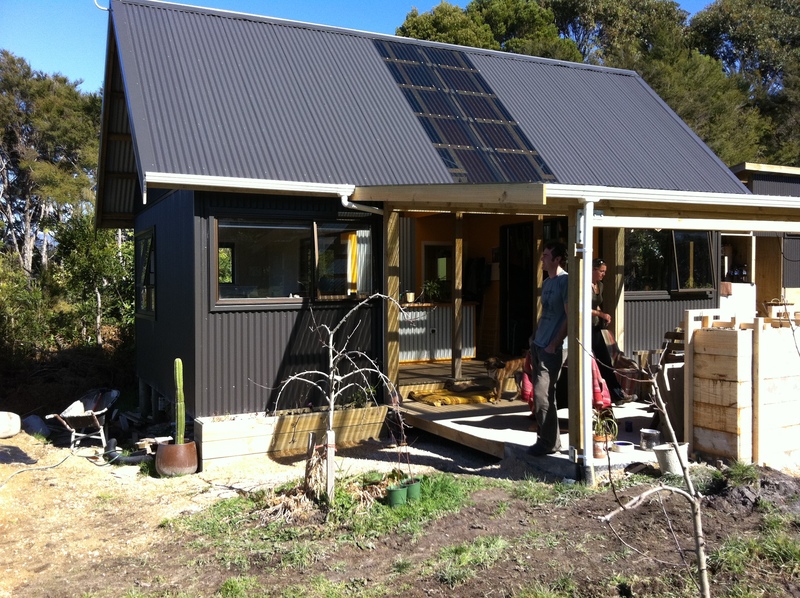 Where do you start a sustainable house? So, you know you want a sustainable (healthy, efficient, affordable and desirable) home, but where do you start? 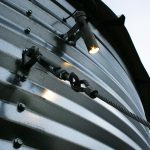 I’ve covered the fundamentals of what makes a good energy efficient home, but these are details. What’s the big picture? 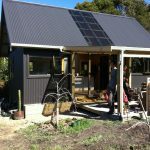 Where do you start a sustainable house? 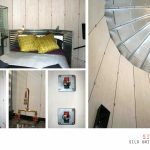 Why are you renovating/building/remodelling/looking for a new home? What are you most dissatisfied with at the moment? How many people are you building for? How much time are all these people actually going to spend in your home each day, each week, each month…? What do you want your weekends to look like? Describe your ‘perfect day’. Who are you with? Where are you? What are you doing? What’s all this got to do with the location and layout of your dream home? A lot. Creating a better, sustainable place to live is about lifestyle. This is where you need to start. How much do you want to pay each month to own and operate a healthy, safe home? How much money do have to design, consent, building and finish your project? They’re both related. The more you borrow, the more your monthly expenses are going to be. The more you invest on good design, insulation and solar power, the less your monthly running costs are going to be. As painful, boring or frustrating as it might be, it’s worth spending some time here. Most of the designers I speak to say that a client’s true budget is one of the hardest things to pin down. Knowing exactly how much money you’re wanting to spend and being honest about this upfront will save time money and disappointment by avoiding uneasy scope changes when you do start talking to a designer. 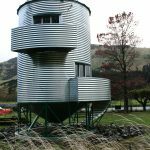 A resource consent gives approval for things like the use or subdivision of land, the taking of water, the discharge of contaminants in water, soil or air, or the use or occupation of coastal space. So you could say it’s to look after the resources that will support not only your home, but the area you live in. You write an application that says why your project falls within the bounds of the Resource Management Act and relevant local regulations and policies, and you pay a fee. 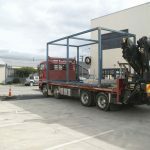 In practice, most people get someone else to do that for them and according to Dr Roger Blakeley (chief planning officer for Auckland Council) there is an “expectation that you would employ a professional” for this process. But when I looked into it, it was going to cost between $10,000 and $15,000 to get someone to write our application, so I wrote it myself. 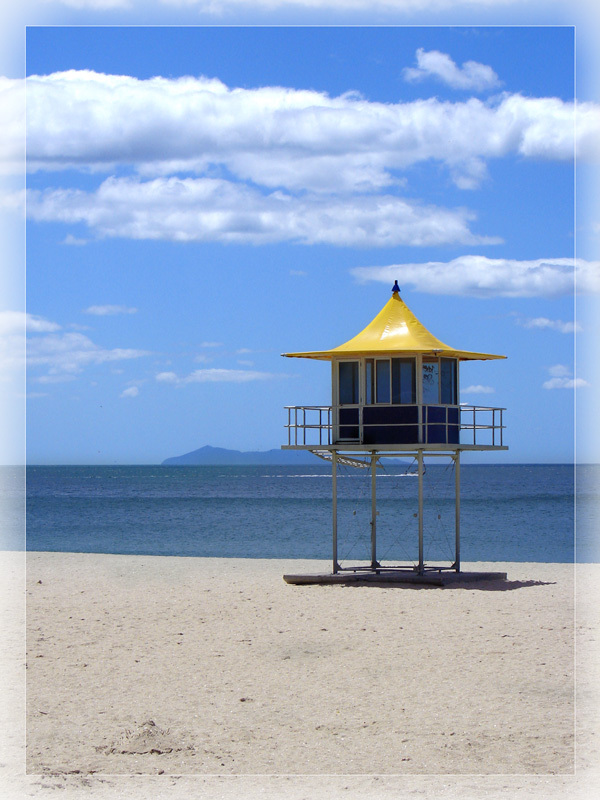 via How to: Get resource consent | Stuff.co.nz. We think the point of sustainable housing is to support living without being locked in to a high rate of consumption of resources. For example, energy is a big concern. The chart below shows the average energy use of a New Zealander, per person, per day, in kWh. For conversion, 1 kWh of electricity is about $0.25, and there is 10kWh of heat energy in 1 L of petrol. This chart shows that for the average person, more energy goes into producing our food than in heating our houses. And consumption of goods (stuff), is the largest energy use. On average, we each use 3.1 L of petrol per day in our car. For a sustainable house, we must make reductions in each of these categories. In the category, Home Energy: we could make the heating efficient with heat pumps, and make energy use low or positive with photovoltaics. For car travel, pick a site that is bikeable, and make facilities for bicycles in the house. For stuff, pick a decorating style that does not require frequent refreshes. Make the house design flexible so it is not demolished and has a long life. For food, design for a garden. For plane travel, pick a frequent holiday destination that is within your country. This entry was posted in Featured, MicroArchitecture, R&D on December 4, 2014 by timb. This entry was posted in Featured, MainMenu on November 21, 2014 by timb. 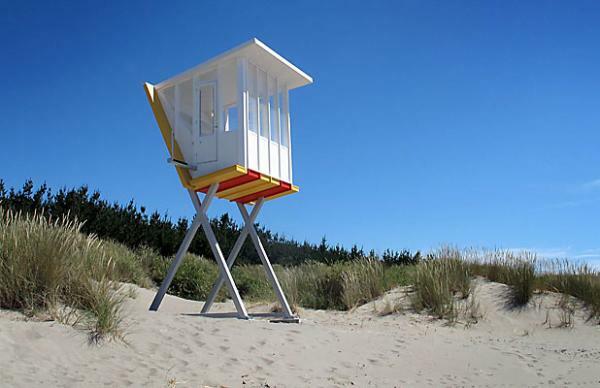 Photos and/or drawings of your pop-up structure due 20 August 2014 12:00 noon. On two or more A3 sheets. Please email your submission to tim@shac.org.nz. What Pop-Up structure will you create? 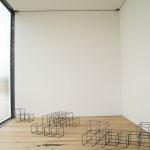 A sculpture, a shop, an office, a venue, a place to play? * Provide a playful competition to help designers, builders and the public better understand the art and science of building. * Please email your submission to tim@shac.org.nz. 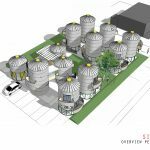 * ProjectName-SubmissionNumber-image.png [or .jpg or .gif] * ProjectName-SubmissionNumber-any other file [could be sketchup, pdf of photos, etc] * The PDF A3 presentation sheets are what explain the project. This may include sketches, plans, elevations, sections, and/or photos of the materials or techniques to be used. * Entries not to include your names or logos, only your assigned submission number. a) The project and its purpose, it’s present and potential future uses. * SHAC reserves the right to not accept any entries. * Best entries will be honoured with awards and prizes. * All entries may be published by SHAC on our web site or other medium. * Thank you for your submission! This entry was posted in challenge, Featured, MicroArchitecture on June 25, 2014 by timb. 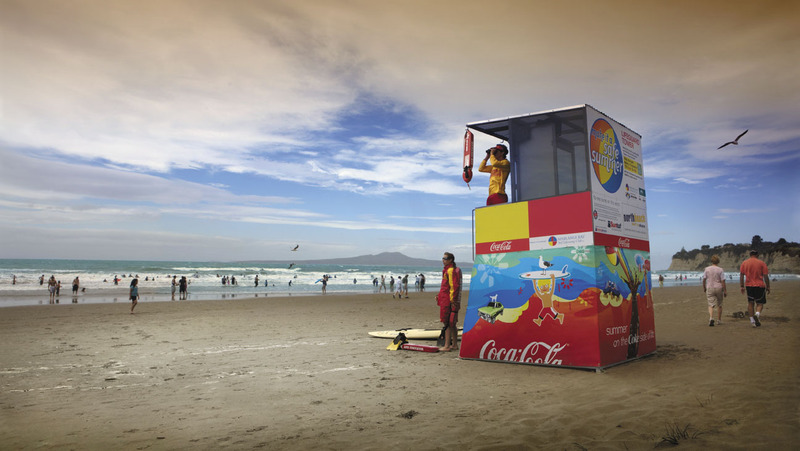 Bella Bloomfield is the winner of the 2013 SHAC Competition held with Surf Life Saving New Zealand. 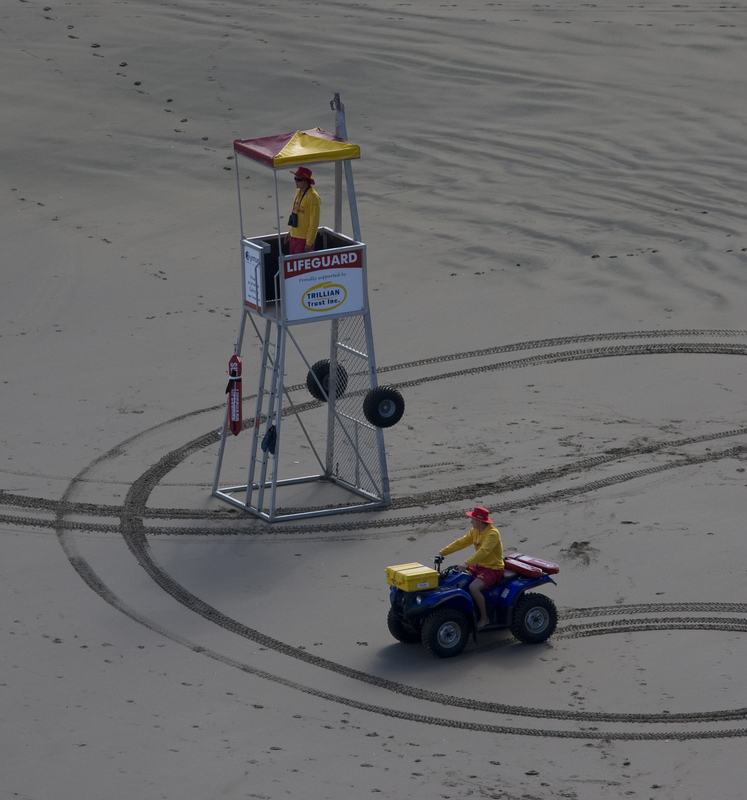 We saw a number of excellent entries from students and professionals from all over New Zealand for the SHAC 2013 Surf Life Saving Tower Challenge. 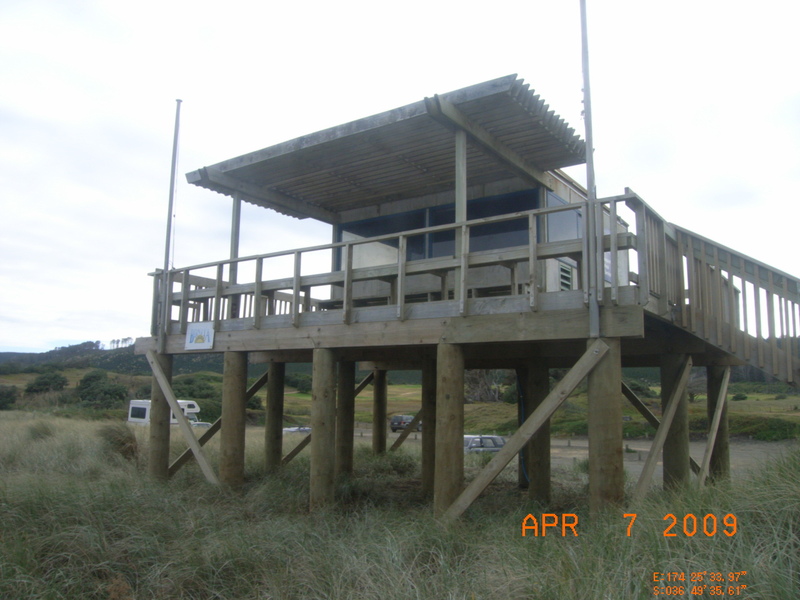 Bella’s tower, the Portabella, most impressed the participating Surf Life Saving New Zealand clubs, their members, and SHAC judges. She also won the Otago Polytechnic Design Prototype Award and $800 in their 2013 grad show for this work. Furthermore, SHAC is pleased to announce that Mark Mismash has been awarded the “SHAC Research Leader Award for 2013” for his innovative interventions in Christchurch communities. This entry was posted in 2013 on January 16, 2014 by timb. This entry was posted in MicroArchitecture, Projects on December 10, 2013 by timb. 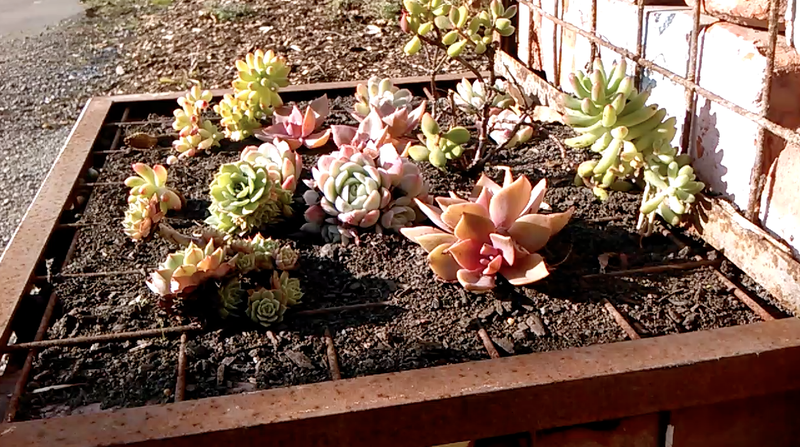 Walker St Building Community – SHAC fromTim Bishop on Vimeo. Come help us make the Walker St Hub at 24 Walker st.
A new home for the following community organisations who want to help you realise your dream for your small business or social enterprise. This entry was posted in MicroArchitecture, Projects on December 5, 2013 by timb. This entry was posted in Featured, Projects, R&D on November 5, 2013 by timb. 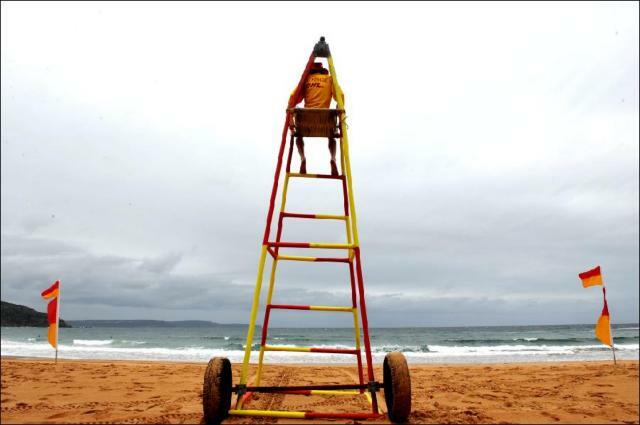 Design a subconsent Surf Lifesaving Tower. Two or more A3 sheets due 30 Aug 2013 12:00 noon. How are we going to live well, with purpose, with more community, and with less reliance on resources like materials and energy? 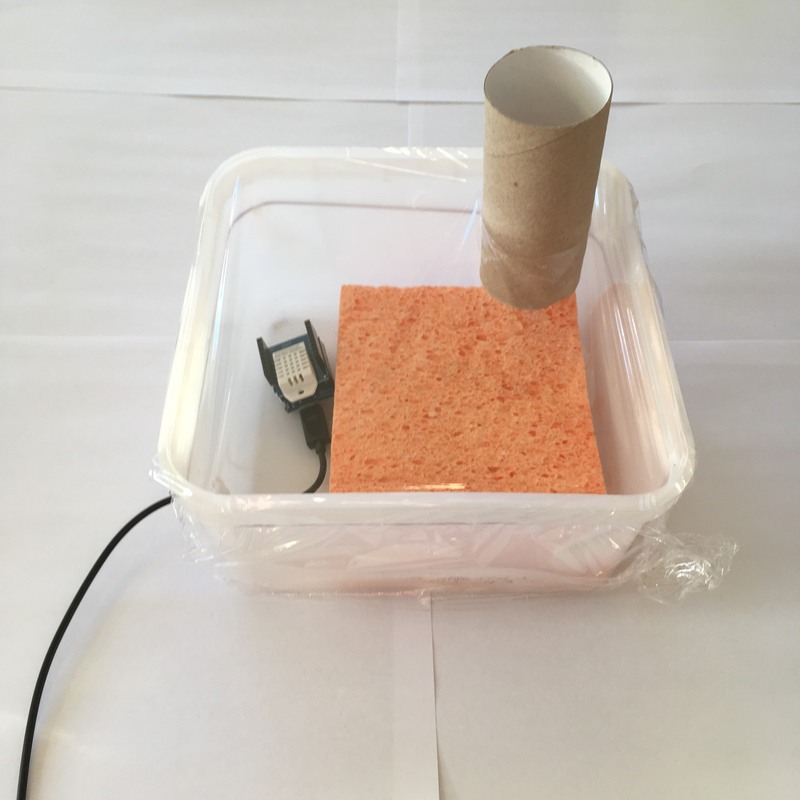 The SHAC Challenge is a way to learn about the building code, experiment with buildings, and to develop prototypes for our new built environment. We designers, engineers, architects, builders, and others will be creating our new built environment for the rest of our lives. This challenge has entrants considering a a key future design need: structures that sit off of the ground, on potentially adjustable supports. How is the structure anchored to the ground? 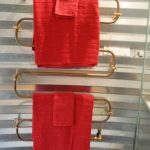 Are the anchors durable? When will the structure overturn? * The building must not require building consent, as per the DBH discussion document. Example exemptions (daa – walls fences), (ga – decks), (i – 10m2 buildings), (j – veranda/patio/porch/awnings), (jb – pergola), (je – shade sail), (jf – carport), and (k – low cost / consequence). Exemptions can be combined. 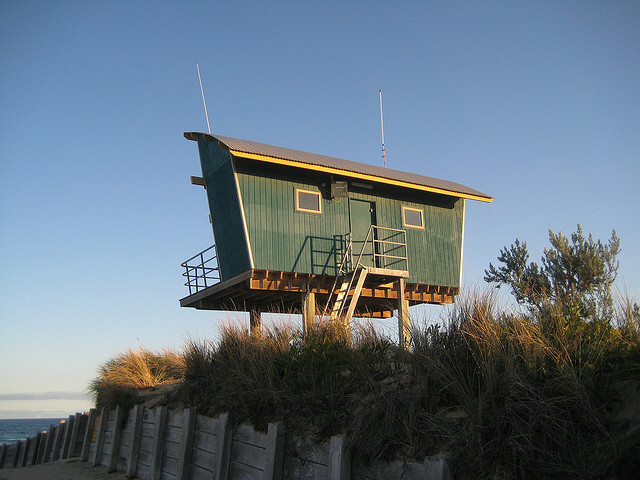 * The building will provide for use as a surf life saving tower. It may also provide other use(s) now or in the future. * The building may make use of recycled building materials. * The building may make use of solar energy: eg, passive solar, solar electric, or solar thermal technology. c) List the exemptions used from Schedule 1 of the building Act. d) How the project will be supplied with any electrical power, and water, if needed. * You may choose to include a sketchup file. Or photos of projects underway are acceptable. 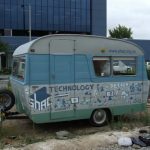 * Please submit all files electronically to tim@shac.org.nz. * Maximum size about 20MB per email. * Judging will take place in September-November. * Submitted designs should be copyrighted by the author(s) under a Creative Commons license of your choice, suggested: “CC-Attribution” or “CC-Attribution-NonCommercial”* Questions can be sent to tim@shac.org.nz, and answers will be sent to all registered teams. This entry was posted in 2013, MicroArchitecture, subconsent on September 2, 2013 by timb. This entry was posted in MicroArchitecture on April 23, 2013 by timb. This entry was posted in MicroArchitecture, Projects on March 27, 2013 by timb. I seem to get confused often by the word garden. I always think vegetables, but sometimes I later realise that people mean decorative gardens! When I was in Japan last month I specifically went to Kyoto because I heard it was called a garden city. The Japanese were very hungry at the end of the second world war. Vast areas of the urban landscape had been destroyed. In the first 7 postwar years, three large earthquakes also contributed to the difficulties. Intensive gardening and farming fills the suburban neighbourhoods of Kyoto. Groups of two and three story houses with private decorative gardens are surrounded by paddocks of vegetables and rice. For a peppercorn rent, residents let a few furrows for their own use, or larger areas to sell to local shops. The lack of fencing allows for small tractors and other machinery to be used and shared by many. Kyoto is known for the garden city – for its decorative gardens – but I like the productive vegetable gardens. This entry was posted in MicroArchitecture on March 18, 2013 by timb. This entry was posted in MicroArchitecture, Wellington on March 8, 2013 by timb. Japan is fascinating. The Japanese are so respectful of everything -work, other people, the natural world. And they have so many rituals – for me it seems to be a way to relax. Together it makes for a human society that is synchronized with the natural environment. Their technology is very efficient and they husband their natural environment so as it produces so many useful things from urban land, rural land, and even the forests. Japan is about 130% the size of New Zealand. And they are worried that they only produce food for about 40% of their population. That is 48 million people! In early February I visited Tokyo and Kyoto. Tokyo is the megalopolis – it has huge apartment buildings that extend as far as I could see from the 18th floor of my hostel. Kyoto on the other hand is largely 2 and 3 story buildings interspersed with many decorative gardens, temples, and productive fields. I presented at the “Earth Systems Governance Conference Tokyo 2013” at the United Nations University. Yes I fell off my chair when I was accepted to speak at this conference!! The conference is trying to raise the point that all of humanity is a system “governed” by written and unwritten, or formal and informal, rules and norms. The conference did attract many presenters on top-down international relations and nuclear energy policy, however the project is also about “bottom up”, grassroots changes in our human-made earth system. It was a fascinating conference – I was astonished that the people that consider big global issues find what we are doing in Christchurch interesting. I presented on the emerging network of groups in Christchurch that are showing other possibilities and suggesting new norms. These groups are creating new possibilities and presenting new ideas that will likely lead to a more sustainable built environment. One key idea is that we use volunteers and skilled people collaborating together. Another is that you don’t need to be a highly trained person to start something. There is an informal network of groups in Christchurch that have responded to the earthquake are rewriting the informal rules, and creating new norms. 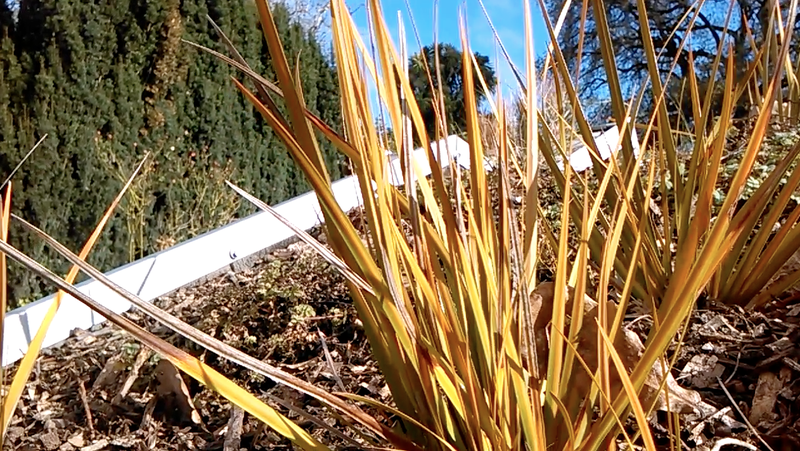 These groups include Greening the Rubble – [gardens can be anywhere! ], Gapfiller – [life is a stage! ], CPIT – [we are learning by doing! ], Live in Vacant Spaces [there are other ways to access land! ], The Concert [volunteers are effective, and it is very fun! 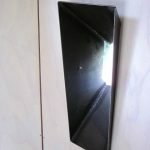 ], Rekindle [we don’t have to throw those building materials away! 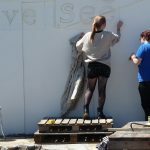 ], White Elephant [young people create and do! ], Renew Brighton [a community can remake itself] Maybe one day the formal rules could change, in response. Minimum parking requirements – i.e. “all ye who have less money shall be forced to pay for vehicles you don’t own”. Heritage protections – i.e. “all ye who don’t have the money to renovate a villa shall live elsewhere. The Earth Systems Science Plan defines the five analytical problems of governance. The five A’s, for short: Agency – to what degree groups and individuals feel like they can act to create positive change. Allocation and Access – how individuals and groups are allocated or access needed resources like land, housing, food. 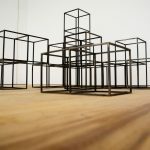 Accountability – projects are legitimated – how do we know about, participate in the decision making around projects that affect or interest us? Adaptiveness – how do we change or reorganize in response to needs? And finally, Architecture – what structure of organization allows for good outcomes in the other areas? For example, what type of command and control, what processes or procedures, or what norms? 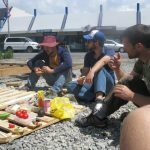 In Christchurch we have a loose network of groups that come together for various projects as suits each group. Each group thus retains its own agency – the ability to act. There are no formal contracts between groups that restrict or prohibit action. Each group has a few energetic coordinators who harness the capacity of skilled professionals and keen volunteers/apprentices. No explicit coordination between groups is needed. Each group’s actions are coordinated by skilled and resourceful coordinators who keep the momentum going. Projects are “legitimated” when people volunteer to do them. Good projects are supported by volunteers. Employees do what their bosses say, but volunteers only work on things they believe in. More volunteers equals more legitimacy equals more impact. 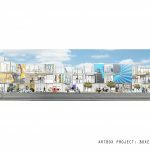 It is unlikely that an unpopular project will have a big impact, while popular projects will grow and grow. And It seems that from this architecture of a loose affiliation of interacting groups, supported by a mix of volunteers and professionals, emerges a system that can support a more sustainable built environment. In other words it supports supports multiple groups to have agency, to have legitimacy, and to demonstrate other ways of allocation and access to resources. Will this hodge-podge of groups lead to a more sustainable built environment? This is still to be discovered. I had an intuition that this was the case, and the conference introduced me to the academic literature further supports this case: That small, self-governing systems of local groups do effectively and fairly allocate limited resources. See, for example, the work of natural resource economist Elinor Ostrom. We are prototyping possibilities for the future today! This entry was posted in 10m2, Featured on February 6, 2013 by timb. This entry was posted in MicroArchitecture, Projects on January 27, 2013 by timb. 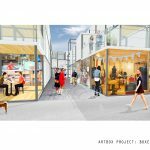 The New Brighton Pop-Up precinct has gotten off to a great start! 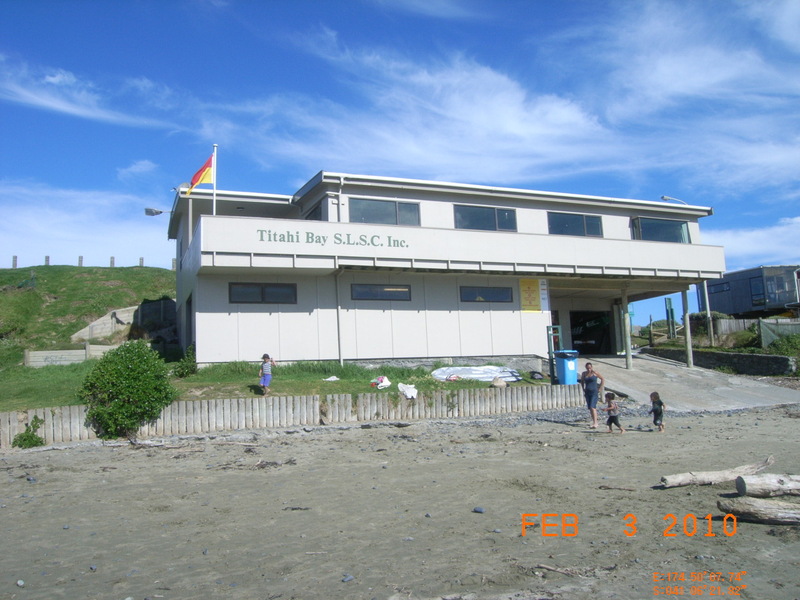 Over 70 people from New Brighton were supported by 30 people that SHAC brought from around New Zealand. This included students and staff members from Unitec, CPIT, the Otago Polytechnic, and volunteers from The Concert. This entry was posted in 10m2, MicroArchitecture on October 30, 2012 by timb. This entry was posted in MicroArchitecture, Projects on October 27, 2012 by timb. A Sustainable Office Chair? $200 cash prize! David McKay makes a convincing argument that 40% of our total energy use goes to make the products that we buy. Please submit your sketch or photo of your practical and comfortable Sustainable Office Chair. Is it one made from natural materials, or a durable and repairable chair that lasts for many years, or one made from entirely recycled products, or hand made, or made by a machine like a 3D printer, or a chair that is made from starch and dissolves when wet? Please supply a photo or sketch and a short description, how to make the chair, and how is the chair “sustainable” – that is – supporting living well, with purpose, and with less reliance on resources. Please email your submissions to tim@shac.org.nz by the 24 October 2012. $200 cash prize for the best submission. Other prizes too! The judges decision is final. The best submissions will be exhibited publically. This entry was posted in Materials, R&D on September 27, 2012 by timb. This entry was posted in 10m2, MicroArchitecture on September 13, 2012 by timb. How are we going to live well, with purpose, and with less reliance on resources like materials and energy? 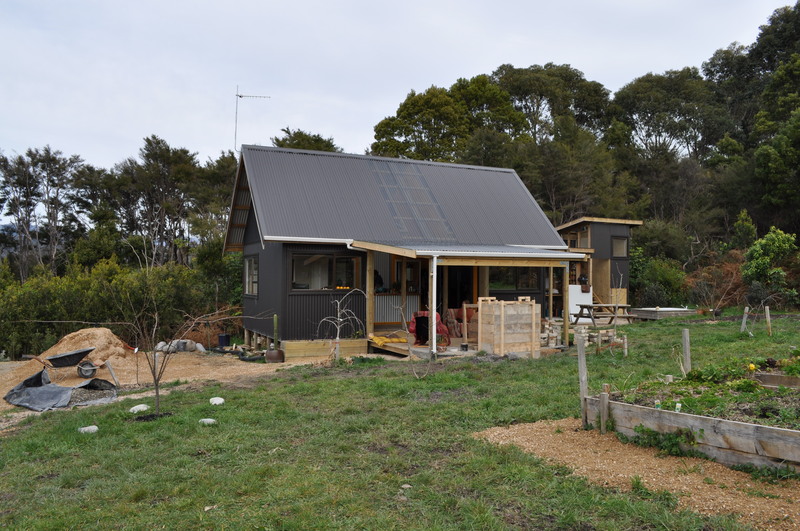 For example, energy is an important resource, and in New Zealand we presently use about 40% of our total personal energy for transport, 20% in the home and to produce our food, and 40% to produce the stuff we buy ( Scadden, p12 ). [Burning coal and oil in far-away, overseas factories]. Our new built environment will reduce our need for resources like water and energy by a number of methods. Our judges will consider entries according to these points, from technical improvements to projects that inspire creativity and support people so that they have understanding, energy, and the will to create. SHAC judges will take a wholistic approach in judging. 2) improving our knowledge, technical ability, and desire for durable, repairable stuff [from housing to cell phones], so that over time we have much less need to buy so much of it. Teaching young people how to design, build, and maintain buildings and things is a great start! 3) stimulating and developing knowledge, awareness, and use of small quantities of valuable renewable electricty. 6) Facilitating groups of people to get together to share ideas and create. 7) Stimulating the imagination and supporting groups of people to make progress on creating an environmentally sound and socially just society. 8) Exhibiting a quality and care of construction that inspires others to support, promote similar projects, and adapt and reuse your designs in future work. 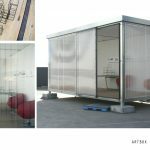 This entry was posted in 10m2, MicroArchitecture on August 2, 2012 by timb. 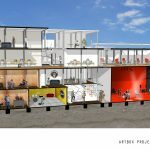 This entry was posted in MicroArchitecture on July 12, 2012 by timb. 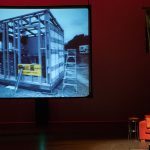 On the 2-3 May 2012, SHAC presented the 2nd annual workshop on micro-architecture at the Christchurch Polytechnic Student Centre. 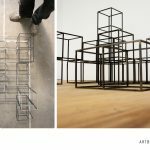 Sixty attendees discussed temporary architecture, simple buildings, and the reuse of building material. “People cherish their culture through recycling” – those are the words of Wang Shu, the 2012 winner of the Pritzker architecture prize. The demolition of red stickered housing and CBD buildings does not have to mean the eradication of Christchurch’s history or culture – nearly all materials can be reused in new construction, incorporating local memories and fusing the past with the present. What is permanent in this land of earthquakes? In San Francisco, the Palace of Fine Arts was built in 1915 as a temporary building for the Panama-Pacific Exposition and still stands today as an icon of the city. 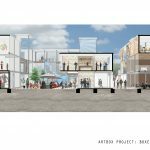 From the cardboard cathedral to the convention centre – how long will they serve us? 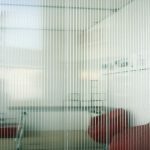 This entry was posted in MicroArchitecture on May 28, 2012 by timb. 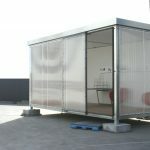 Zero-Modular House. This is a group work, members include David Wong, Jacky Lee, Praveen Karunasinghe and Biran He. We all had different tasks to utilize individual strengths in this group project. My responsibility was to research about solar panels, obstruction masks, and all presentation renders. Since this is a tech paper, we had done a great amount of research on renewable resources, such as the minimum amount of solar panels needed to generate enough for the household. 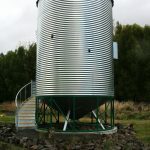 This entry was posted in Auckland, MicroArchitecture, New Zealand on March 30, 2012 by timb. 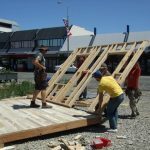 In December 2011, a team of young people got together with a vision to build an office for Gap Filler using materials saved from demolition sites around Christchurch. The team developed the design over the summer and with many talented volunteers built the office in a week in January! The design and build was organised by SHAC in association with the Regeneration and White Elephant charitable trusts. Many skilled and unskilled volunteers helped out – builders, architects, engineers, young people and the occasional passer-by. 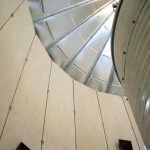 All of the building materials are reused, with the exception of building paper, insulation, chicken wire, fixings, clear plastic cladding and 4 sheets of thin treated plywood. The office has an internal floor area of less than 10 square meters. 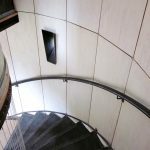 Our talented designers and builders believe that the office complies with the building code, and is warm, stable, resistant to moisture, durable, and supports fire safety. This office is experimenting with new building techniques. 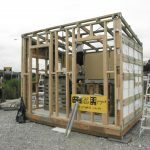 The east and southern wall structure are made from reused shipping pallets, a technology developed by Mark Fielding of Solabode Ltd in Nelson. The southern wall is clad with reused printing plates kindly donated by the Christchurch Press. This tiny office will stay here for approximately 3 – 6 months. Power will come initially from neighbours and then, from solar power. Wireless internet access will come from a kind neighbour. Once we leave this site, the office will be relocated on a truck to another vacant site in Christchurch. The internal floor area is less than 10m2 and did not require a building consent. We are using this land with the generous support of Ascot TV, who lost their building on this site in the earthquakes. They are now located at 300 Colombo Street, up the road. 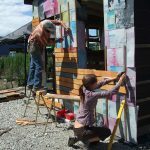 The Sustainable Habitat Challenge is a network of people designing and building more sustainable buildings and neighbourhoods. SHAC projects are educational in nature, teaching those involved new skills. The buildings they create are designed with non-profit group or charity in mind; in this case, Gap Filler. 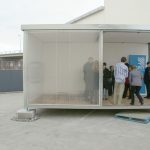 Gap Filler has been gifted this movable building which will be used as an office..
SHAC – affordable, delightful housing, micro architecture, simple building, and more… SHAC is about living well with less reliance on resources, and finding our purpose. See shac.org.nz for more info. 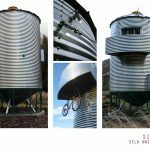 Gap Filler is a creative urban regeneration initiative started in response to the September 4, 2010 Canterbury earthquake, and revised and expanded in light of the more destructive February 22, 2011 quake. It is now administered by the Gap Filler Charitable Trust. See gapfiller.org.nz for more info. 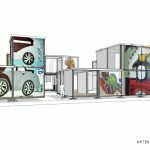 Gap Filler aims to temporarily activate vacant sites created by the quakes within Christchurch with creative projects for community benefit, to make for a more interesting, dynamic and vibrant city. 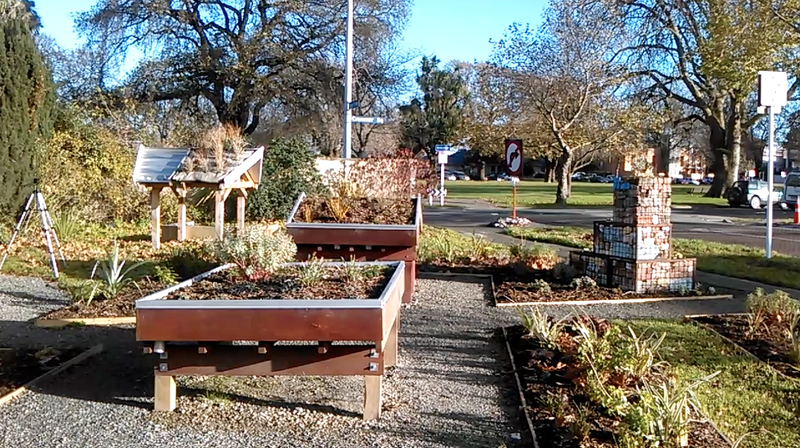 Gap Filler has done a number of projects to date around Christchurch such as a book exchange, painted pianos, a community space and petanque pitch in Lyttelton, and outdoor events such as cinema and live music. Two projects have been completed in Sydenham recently, too – the outdoor chess set next to Honey Pot Café and Wayne Youle’s shadow board mural (working with Christchurch Art Gallery). 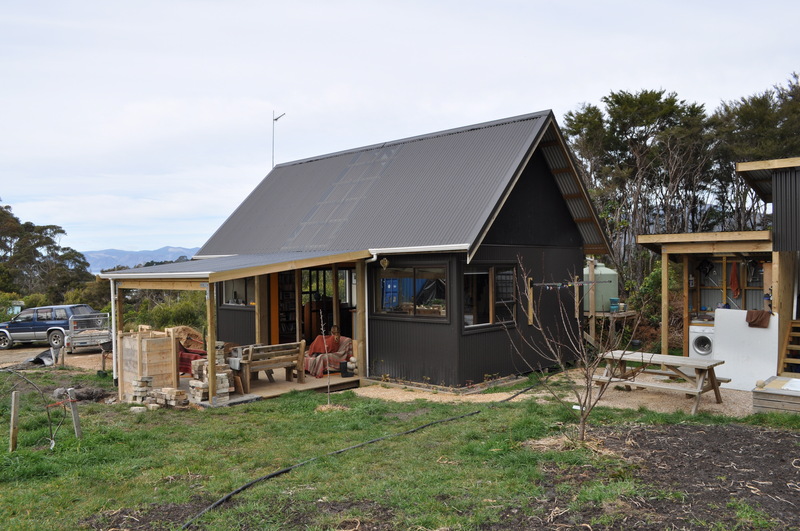 THANK YOU to: the landowners – ASCOT TV (especially Chris), Graham at ECO Framing, Barry Dowrick, CPIT and the Otago Polytechnic for the loan of many tools and Mark Fielding of Solabode Ltd in Nelson for the 5 prefab pallet walls and The Christchurch Press for the metal printing plates. This entry was posted in 10m2, MainMenu, MicroArchitecture, New Zealand on March 10, 2012 by timb.